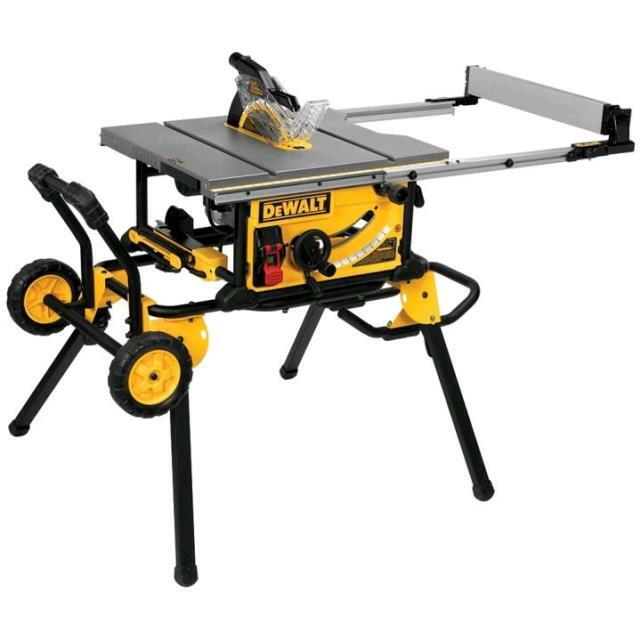 Dewalt 10" Jobsite table saw with rolling stand. 32-1/2" rip capacity easily cuts a variety of larger shelving and trim materials. 15 amp 110v motor with 2 1/2" dust port for vacuum. max rip to left of blade 22" right 32 1/2"
* Please call us for any questions on our saw table 10 inch dewalt w/rolling stand rentals in Portland OR, Gresham OR, Milwaukee OR, and surrounding metro area.